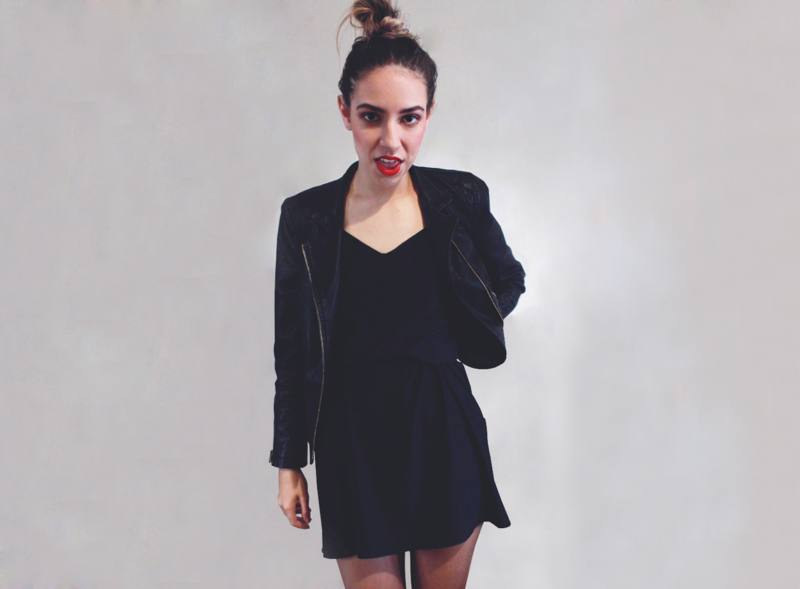 One of my winter staples has been this (faux) leather jacket from Dotti. It's sometimes a little tricky to style correctly; unfortunately it doesn't go with everything I own but there's a simple rule I stick to. Keep it slim. In the above photographs I've worn a slender LBD (actually a slip that I hitched up with a belt) underneath and it always looks better than wearing harem pants or anything that tends to puff out around your hips/thighs.